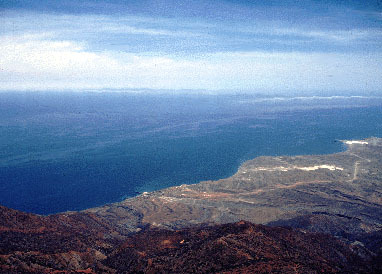 Cedros town surrounds the white spot on the shore to the left of center. Huge piles of salt form the short white strip near the shore on the far right side of the photo. The connecting road is clearly visible. The mainland is barely visible on the horizon.